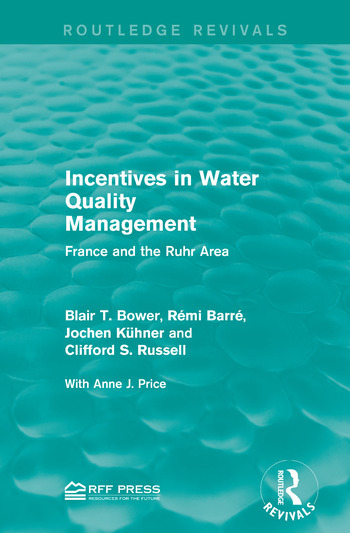 Incentives in Water Quality Management explores the role of effluent charges in France and the Ruhr area of the federal republic of Germany by delving into both regulatory and economic systems that are utilised in the water quality management of these two areas. Originally published in 1981, these studies place an emphasis on the necessity of legislation in effective water quality management whilst attempting to create a complete picture of the water quality management systems in place in France and the Ruhr area. This title will be of interest to students of Environmental Studies.